With only a few weeks left until CCS, we have some exciting announcements, features and improvements to share with our services. Xplor is rolling out new CCS functionality every week, and we begin with CCS estimates in the master roll and for scheduled payments available from early next week. Please note: Estimates for CCS use the government's entitlements API which requires parents to have an active CWA which is in a 'confirmed' status. From early next week, to be able to view the new Master Roll for CCS including estimates for parents with confirmed CWAs, navigate to any date after July 2 in the Xplor Admin Master Roll. Xplor has made it easier for services to identify if parents have approved CWAs. Please Note: if you update a parent's booking schedule, parents will need to log back in to the Xplor Parent Portal and re-approve their CWA so that it can be sent to the government. 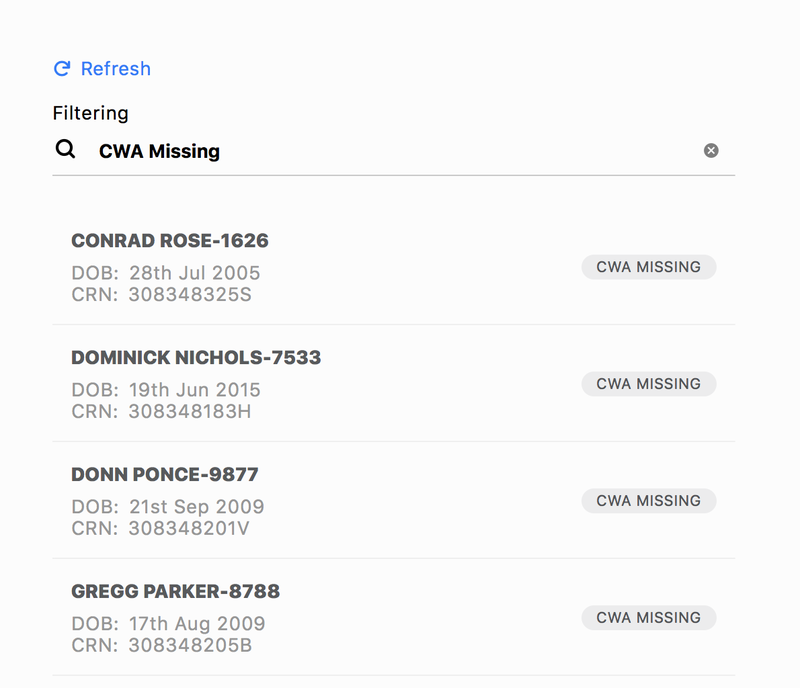 You can access this new indicator by visiting Government Rebates > Government Enrolments and look out for the "CWA Missing" flag next to the child's name in the sidebar. You can also search for this indicator in the sidebar by typing in "CWA Missing" into the search input field. Xplor is releasing an update to the Xplor mobile application which will be available to Parents and Educators via the iOS AppStore and Google Play Store. This update includes new sign in/out icons to remind customers to “press and hold” and some updates to beacons that improve their performance. Xplor is rolling out changes to our reports to allow the reports to accomodate CCS subsidies. During this process, we have also fixed an issue where some reports were not honouring the service's timezone setting and therefore showing transactions and data for other days. While these reports will appear mostly unchanged, The Financial Summary Report has been enhanced, switching from XLS format to CSV and now with support for multiple services. The old Xplor accounts popup is getting an overhaul to help administrators better understand parent accounts, including: The ability to view past primary carer's accounts and the ability to see an even more detailed account view including resubmissions and CCS subsidy payments. How do I add/delete an attendance?